The copper-gilt locket is made in two parts, hinged at the top. The front of the case is engraved with the arms and motto that were granted to Major William Careless. 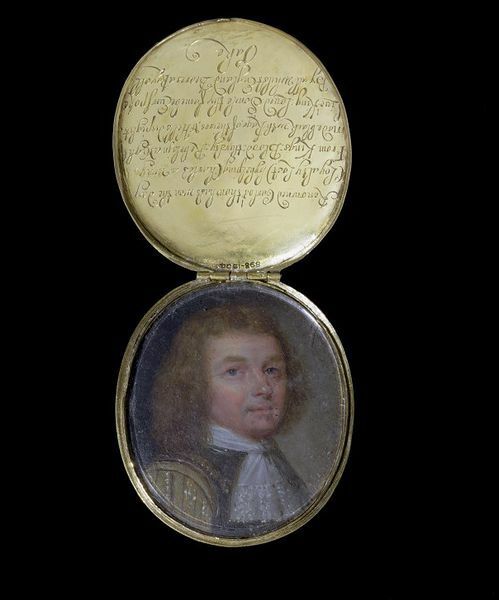 The back is engraved with a scene showing Careless and Charles II hiding in the oak tree. 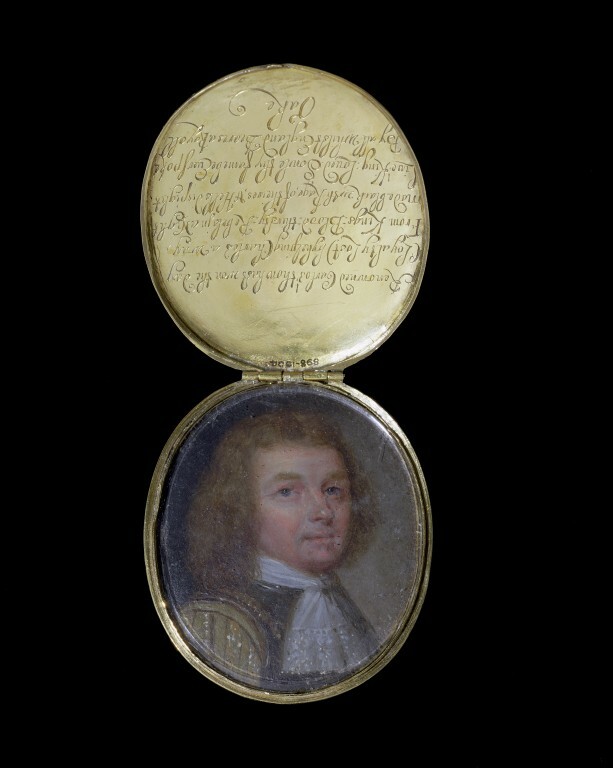 Inside the locket are a portrait of Careless and an inscription. After the Royalist defeat at the Battle of Worcester in 1651, the young Charles II and Colonel Careless sheltered at the home of the Penderell family at Boscobel House, Shropshire. It was suggested that they might hide from the searching Cromwellian soldiers by climbing up into 'a great oak', taking with them 'some victuals for the whole day viz. bread, cheese, small beer, and nothing else'. Thus they escaped, to become the subject of legend. Careless's arms celebrate his service to his king. The shield bears an oak tree with three royal crowns on a fess (a horizontal band). The crest has a sword and sceptre in saltire (in the shape of a St Andrew's cross), with a civic crown (a wreath). The motto is Subditus fidelis Regis & Regni salus ('A subject faithful to his king is the safety of the kingdom'). Oval locket with a hinged cover and a loop at the top. 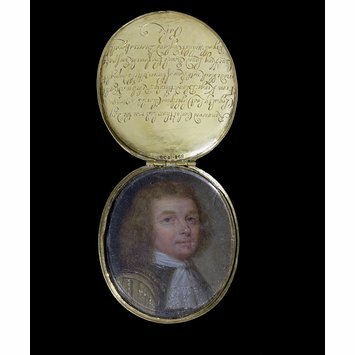 The locket is engraved and contains a portrait miniature.